It’s time to get a head start on your meal plan for next week. Yes, even though Thursday is Thanksgiving. We take that—and Thanksgiving leftovers—into account, covering you through the weekend this week. Because we can all use a little extra help during the holidays. From a classic comfort meal to the easiest fish dinner we’ve made yet, we’ve got five family dinners that will get you through the week. So grab a pen, make your shopping list, and stock up before the weekend’s over. Related: Meal plan: 5 easy dinners from a 30-minute skillet chili to a genius use of tater tots. Lately, I’ve toggling between needing serious comfort food, but also wanting to keep it light as we head into Thanksgiving. 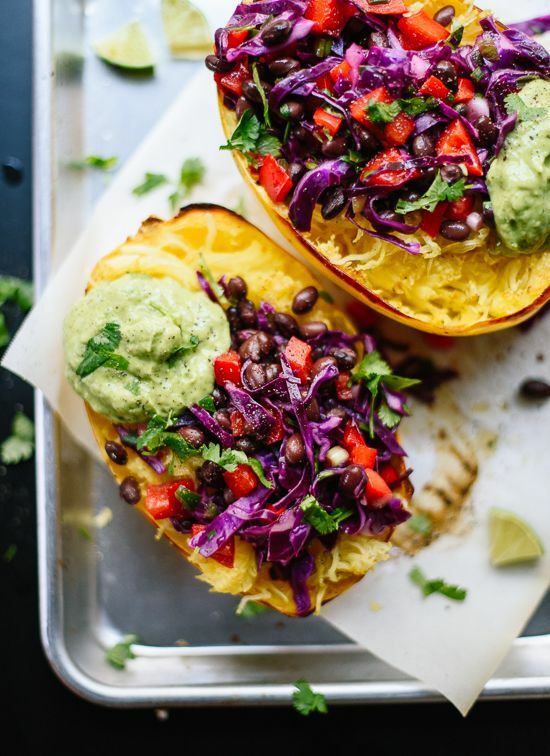 This Spaghetti Squash Burrito Bowl at Cookie + Kate walks the line perfectly. There are a few components to this recipe, but they’re all pretty easy and, even better, can be done ahead of time. And if you or the kids will just never go for spaghetti squash (which is so good, by the way! ), you can substitute rice and still make this for #MeatlessMonday. 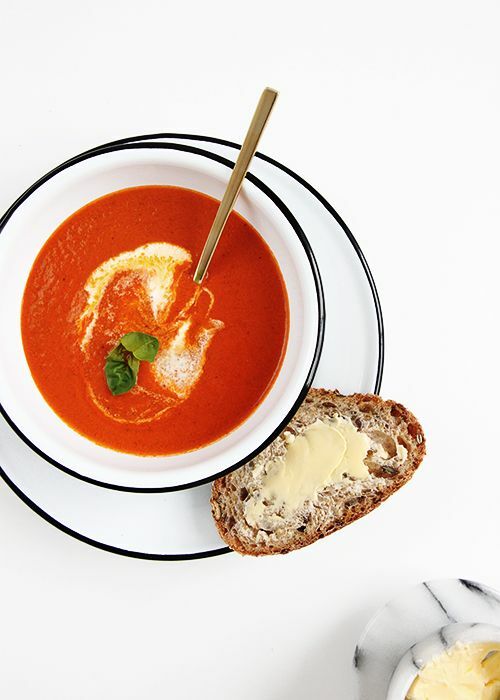 There is nothing more comforting than tomato soup and grilled cheese, and this 20-Minute Tomato Soup at The Faux Martha makes the classic combo an easy weeknight meal—especially during the week of Thanksgiving when we’re all thinking: Really, we have to feed the kids? The soup comes together so fast that you may not have time to grill the sandwiches while it cooks. No matter: Dinner can still be ready in 25 minutes. While it looks good, the picture doesn’t do the recipe for Poached Cod with Spinach and Tarragon Butter at Jessica Seinfeld’s new food site justice. I know because I made it this past week and everyone requested seconds. Truth be told, I made the recipe even faster and easier by rubbing the fish filets with olive oil, salt, and pepper and baking them (with no poaching liquid). Then, I poured the tarragon butter on top with leftover broccoli on the side. In other words: This recipe is fast, delicious, and forgiving. A serious find, and a perfect way to keep it super light the night before Thanksgiving. Related: Meal plan: 5 easy dinners from a fall Carbonara to your new favorite meatballs. We’re skipping Thursday this week and going straight to Friday (if you’re skipping a big turkey meal, order take out on Thursday!). 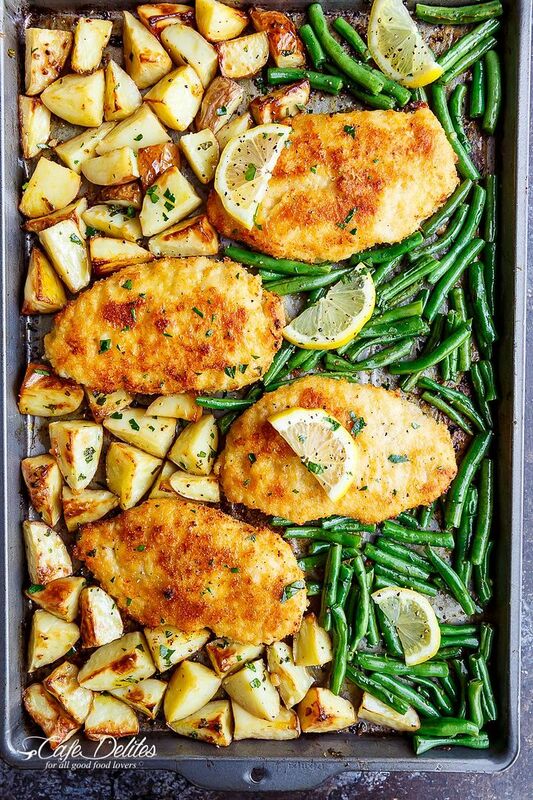 If you were a guest who came home empty handed or you skipped a big Thanksgiving meal this year, try this Sheet Pan Lemon Parmesan Garlic Chicken and Veggies at Cafe Delites on Friday. If you cooked or attended a big Thanksgiving dinner, use these ideas for how to use leftover turkey on Friday night and make this easy sheet pan dinner on Saturday. No matter how you spend Thursday, by the weekend you’ll surely be cooked and food-ed out. 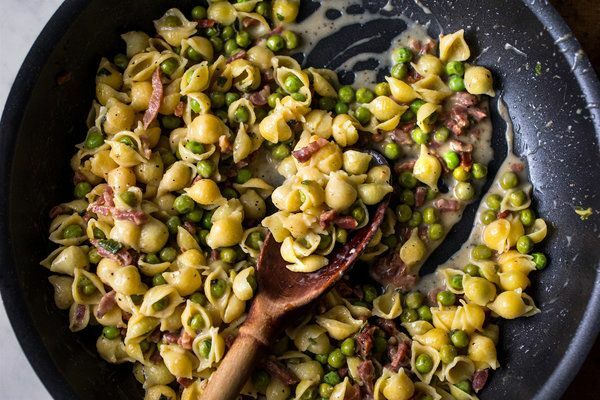 This Creamy Pasta with Bacon and Peas at The New York Times will be exactly what you need: a way to feed the whole family in just 15-minutes.